Disney Pirates of the Caribbean's Captain Hector Barbossa. Discover the pirate Captain Hector Barbossa from Pirates of the Caribbean! But watch out for this sword-slashing, crafty Captain who will stop at nothing to get what he wants. 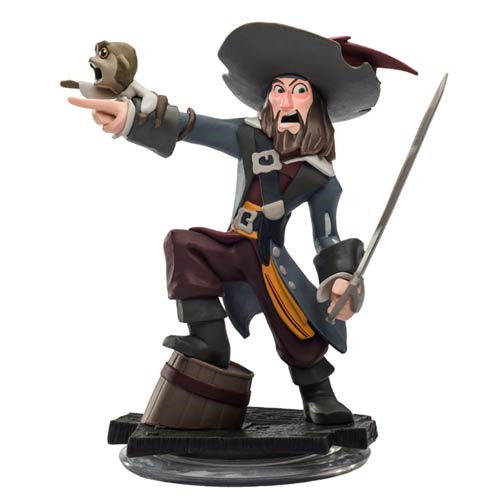 This Disney Infinity Pirates of the Caribbean Captain Hector Barbossa Video Game Mini-Figure features the Captain of the Black Pearl as a playable character in Disney's amazing Disney Infinity open-ended video game world.